Pineapple Logo Mesh Legging is rated 3.0 out of 5 by 5. These Pineapple leggings feature a flattering high waist, mesh design to both legs and are finished with the brands signature logo to the side of the leg. 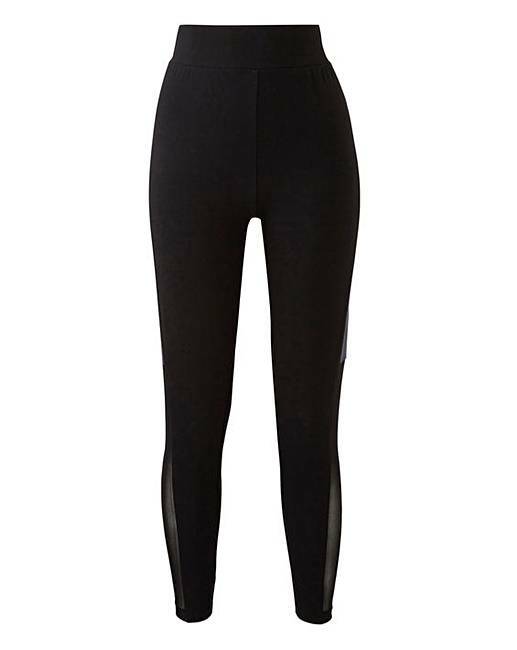 Leggings: 95% Cotton, 5% Elastane. Mesh panel: 95% Polyester, 5% Elastane. Rated 1 out of 5 by Hazel from Mesh side ugly Not the usual stylish leggings from Pineapple. Good fit but the mesh aspect is huge and very ugly - looks really cheap and nasty. Rated 2 out of 5 by Hazel from Not the usual 5 stars for pineapple Bought a few weeks ago and thought the panel on the outside was brown. Horror it’s see-through and looks terrible - really tarty. Pineapple clothes are usually classy. Rated 5 out of 5 by Mrs G from Extremely comfy! Love my new gym leggings! They’re really comfortable while you work out and very stylish too!